Strategic-Air-Command.com is privately owned by Marvin T. Broyhill. It is not affiliated with any official organization. The goal of the site is to preserve the SAC heritage and to provide an environment where its veterans can share information and experiences with one another, completely unhampered by regulations. Marv is the author of the site and it's site administrator. Marv has written a book on his adventures in SAC. Feel free to download a copy. Submissions Invited. We welcome stories of your experiences in SAC, material for our bulletin board, and information on units, aircraft, missiles, etc. Your submission gives us the right to publish the material on this website and otherwise. We reserve the right to rewrite and edit as needed. Within this web, we will give you credit for material that appears in the Stories Section, the Bulletin Boards plus any extensive information that goes into other sections. We will also include your email address. If you do not want the credit or your email addresses to appear on the site, then let us know and we'll not include them. 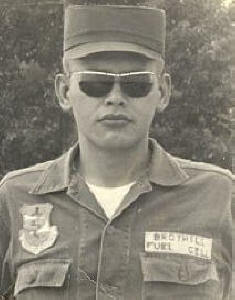 Above, the author in 1963. 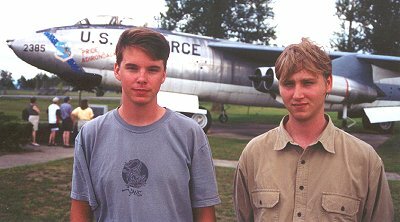 At right, same dude, taken in front of B-47 2385 "Pride of the Adirondacks," at the former Plattsburgh AFB in the summer of 2000. 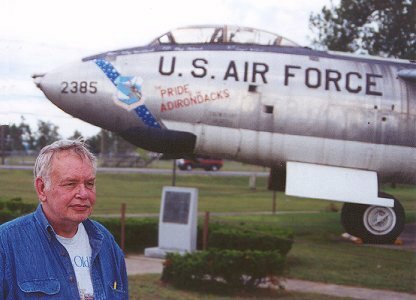 "I took my two sons, Mike and Jim, with me to see 'how the old man helped with the Cold War.' Jim (at left) asked why I joined the Air Force. I explained that back in 1961 there was compulsory draft. If I had not joined one of the armed forces, then I would surely have been drafted by the Army. I thought about it a few minutes, then added, 'The very fact that I and a lot of other guys were standing guard 40 years ago is the reason that you don't have the draft today.' Upon arrival at Plattsburgh, we were briefed as to SAC's mission. I remember being told that we were making the world a safer place for our children, but at age nineteen, I really didn't think too much about that. Today, I know that the briefing officer was right. That's what we did."